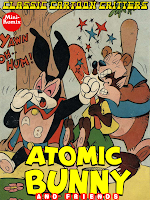 Classic Cartoon Critters brings back another nuclear-powered funny animal superhero, Atomic Bunny. Taking some special U-235 carrots, this heroic hare is given the powers of flight, invulnerability, and super-strength. He then takes on the task of defending Rabbitville from the crafty Sly Fox, as well as trips to the moon, and helping out his friends. Also included in this collection are tales of Fatso Pig, Wilfred the donkey, Superdog, and elephant antics with Bungle of the Jungle. 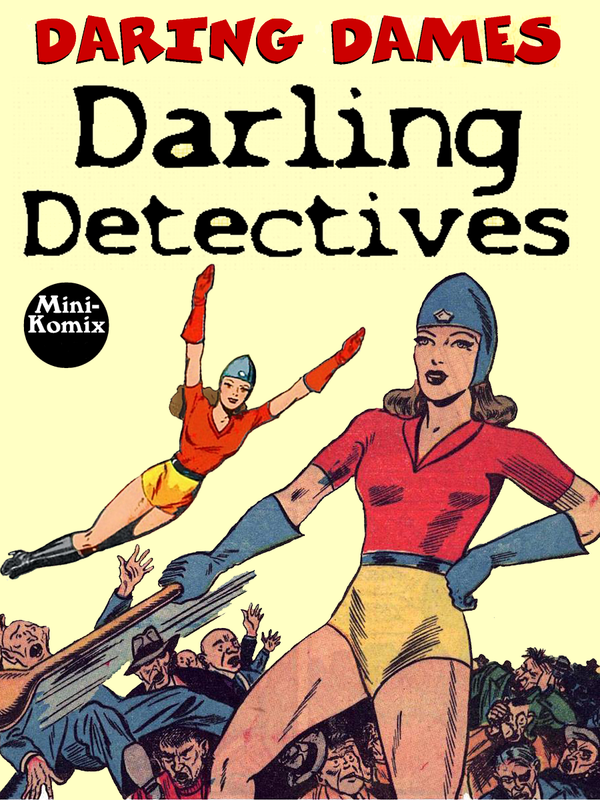 All-ages cartoon from the Golden Age of Comics! You can download this at Drive Thru Comics. 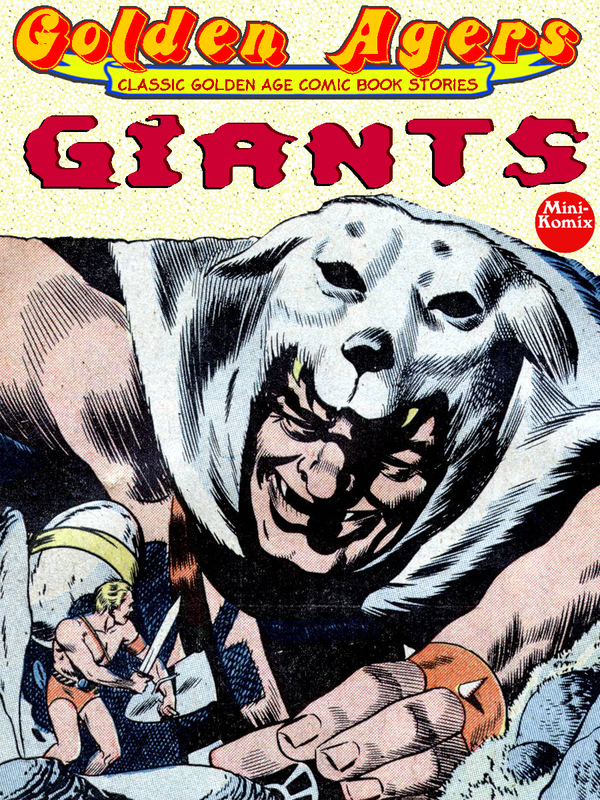 Professor Morte', host of the Silver Scream Spook Show, brings you this colossal collection of Klassik Komix: Giant Monsters! Some of the most tremendous titans and killer kaiju from the Golden Ages of Comics. There's the infamous Island Monster that could give King Kong a run for his money. The shape-shifting Gravimonster plagues a small village. Thun'da the King of the Congo clashes with an amazon tribe on giant rocs called the Flying Devils. The Terror of the Deep stalks the souls of doomed sailors. Mysta of the Moon tangles with the Terrible Worm of Jupiter. Crom the Barbarian quests to vanquish the Giant from Beyond while slaying a sea serpent. All this, and the one and only mighty mecha Neutro(yes, that Neutro!). 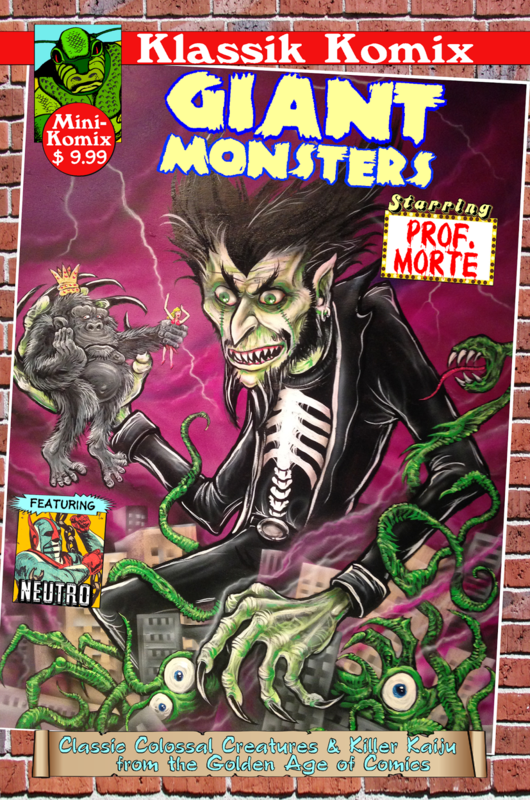 Plus, get some great ghoulish info from the Ghost Host with the Most, Professor Morte' himself! Head for the bunkers as these mega monsters go on a brutal rampage! Another 100 Big Pages comci! You can order this gargantuan graphic novel from us, or at from Lulu.com. We've got a table in the artist alley at the annual Momocon anime convention on May 23-25 at the Hilton Atlanta on 255 Courtland St., Atlanta, GA. 30303. We'll be in the artist alley with some Mini-Komix regulars like John Powell, Blake Myers, and Professor Morte'. Golden Agers gets all Harryhausen with this collection of Giants! There's the infamous Island Monster that goes on a rampage in New York, Crom the Barbarian sets out to slay The Giant From Beyond, the curvaceous jungle princess Taanda has to protect her domain from an army of enormous ants, experience the Terror Of The Deep as a savage sea serpent lays waste to the oceans, Thun'da clashes with a tribe of catfighting amazons and their raging rocs, Forbidden Journey has a young boy stalking alien titans, a huge robot stars in I Want To Be A Man, and a hunter seeks interdimensional colosusses, in The Big Hunt. Fantasy, sci-fi, horror, and adventure await in this dynamite display of Dynamation! You can download this at Drive Thru Comics. From the Golden Age of comics comes the frisky flying feline of atomic awesomeness! 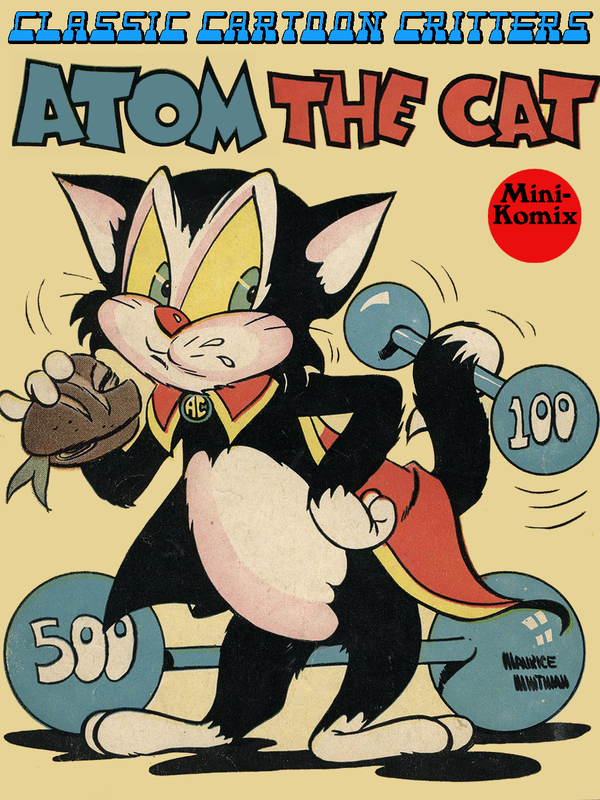 After getting exposed to atomic rays, Tom Cat takes on the role of Atom The Cat with the powers of flight, super-strength, and invulnerability. Take off in five fantastic funny animal adventures as Atom fights bad guys, helps orphans, meets his fans, encounters aliens, and saves science as we know it! You can get this Classic Cartoon Critters for download or in print at Drive Thru Comics, as well as part of the Classik Cartoon Critters Bundle. This quartet of computerized crime fighters is a cosmic blast from the past, and IN COLOR! While touring a superhero museum, an explosion causes four teenagers to have their essences transferred into the bodies of four experimental androids, each one with their own superpowers. El can shoot lasers, Crispy freezes things, Hy creates sonic energy, and Polymer Polly can fly at super-speed. 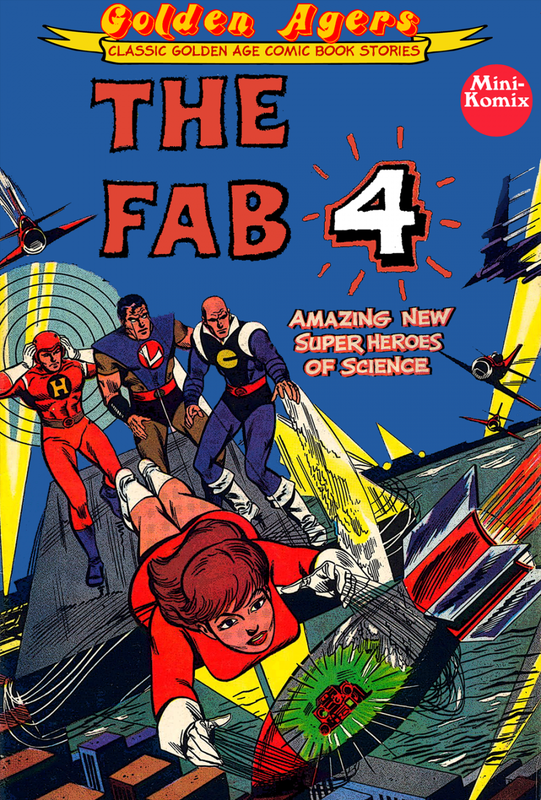 They become known as The Fab 4, and set out to use their mighty powers to save the city from the mad scientist Dr. Luuki and his runaway creation, the giant robot Endo-Man. These young heroes go back and forth between their real lives and their new super-robot personas. Golden Agers brings you great sci-fi fun and all-ages action in this bonanza of Saturday Morning fun! You can download this at Drive Thru Comics. 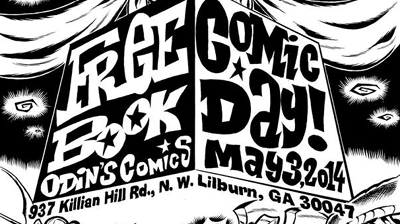 We'll be at this year's Free Comic Book Day on May 3 at Odin's Comics on 937 Killian Hill Rd, Lilburn, GA. 30047. We'll have some free copies of Kids Komix, plus some free Saturday Morning Madness Coloring Books! Plus, copies of alot of our titles for sale.